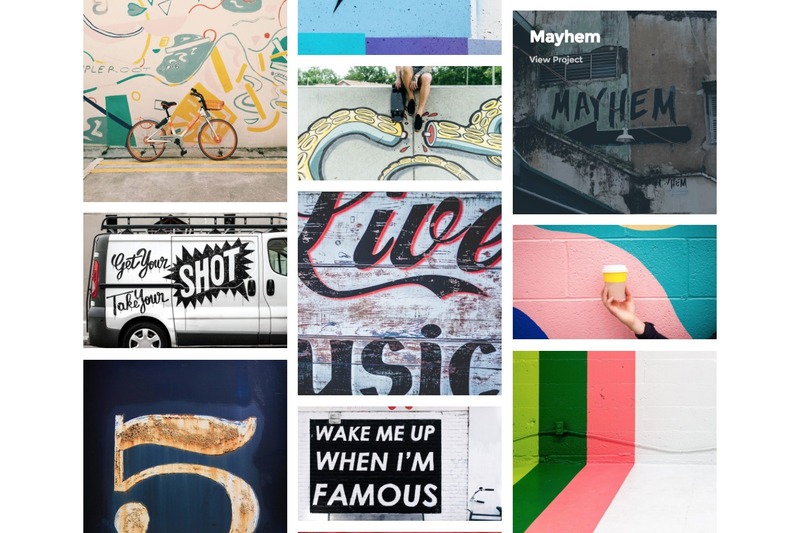 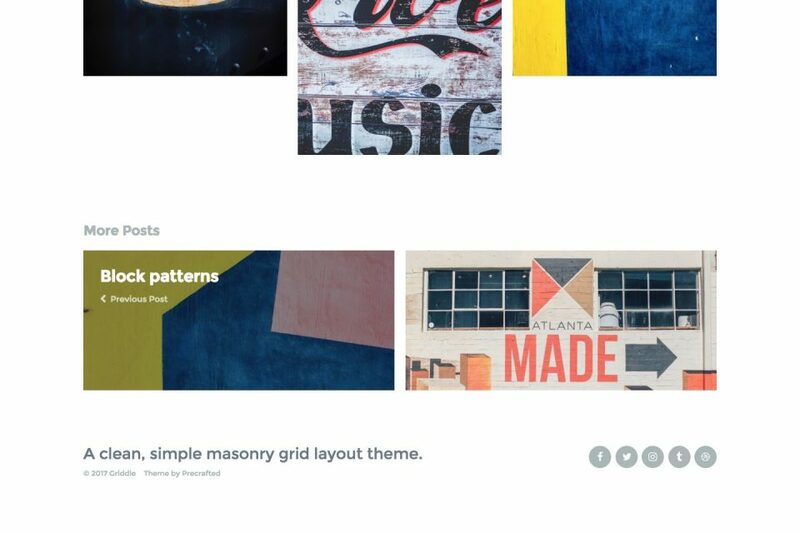 A clean, simple masonry grid layout theme that let's you build a stylish portfolio with ease. 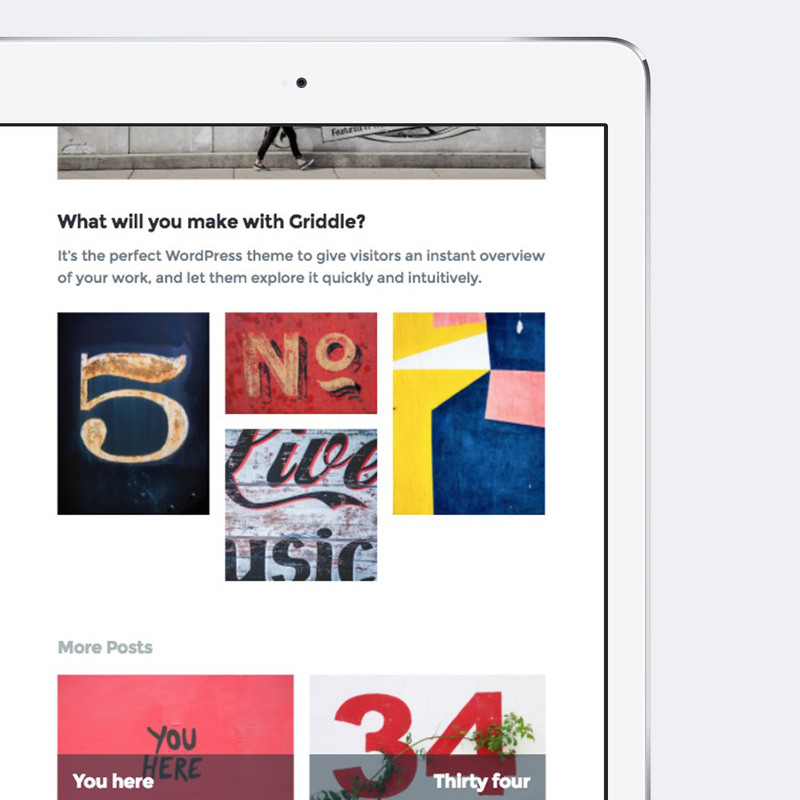 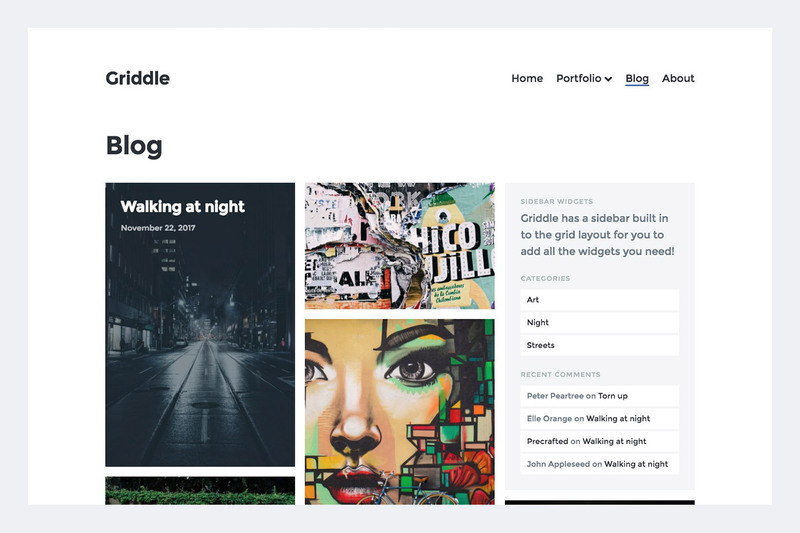 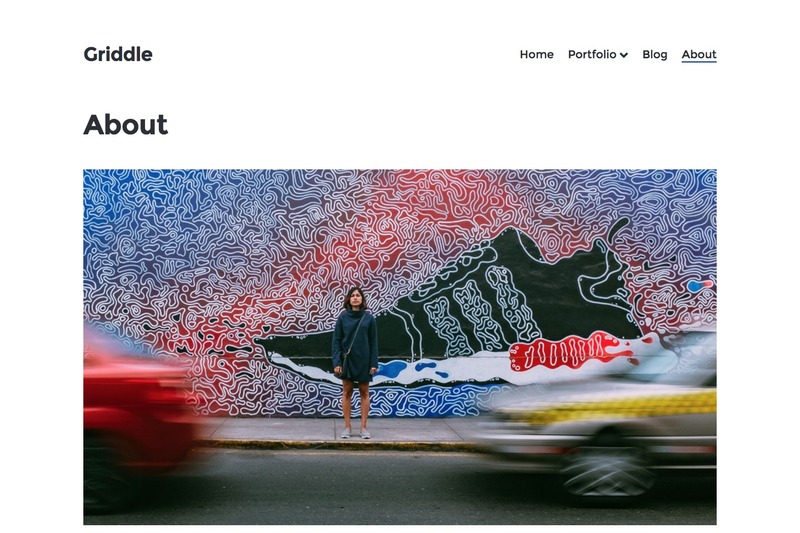 Griddle makes it easy to put together a beautiful portfolio, with a clean and simple grid layout that gives visitors an instant overview of your work. 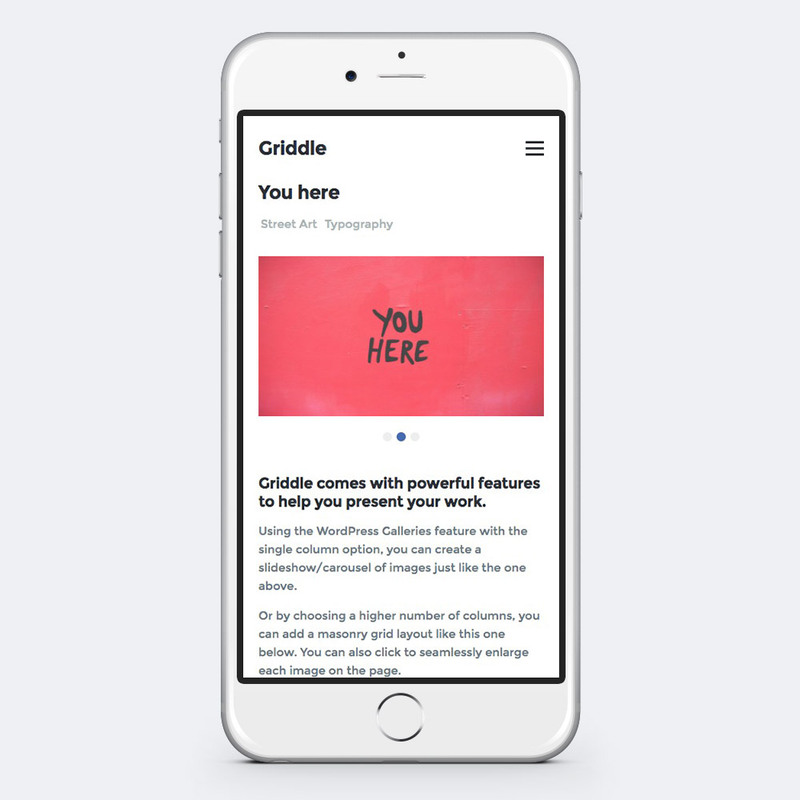 Griddle looks and works great on all devices – we’ve made sure the experience is perfect wherever people are visiting your site. 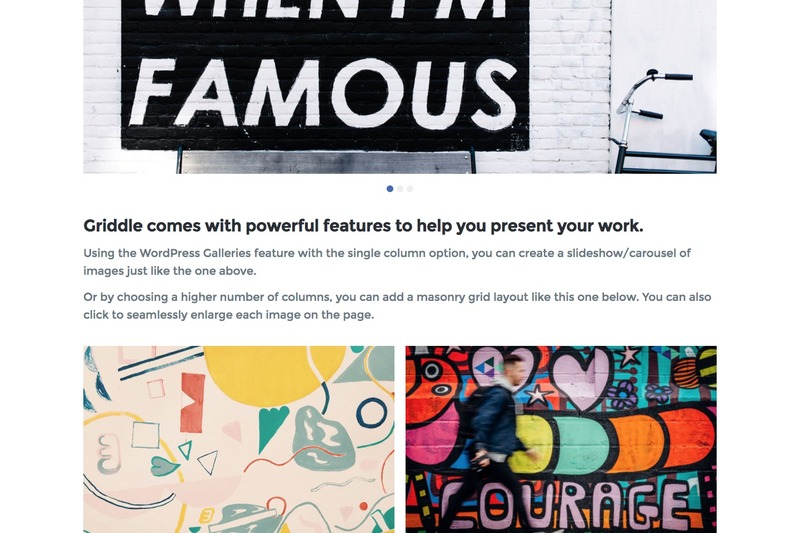 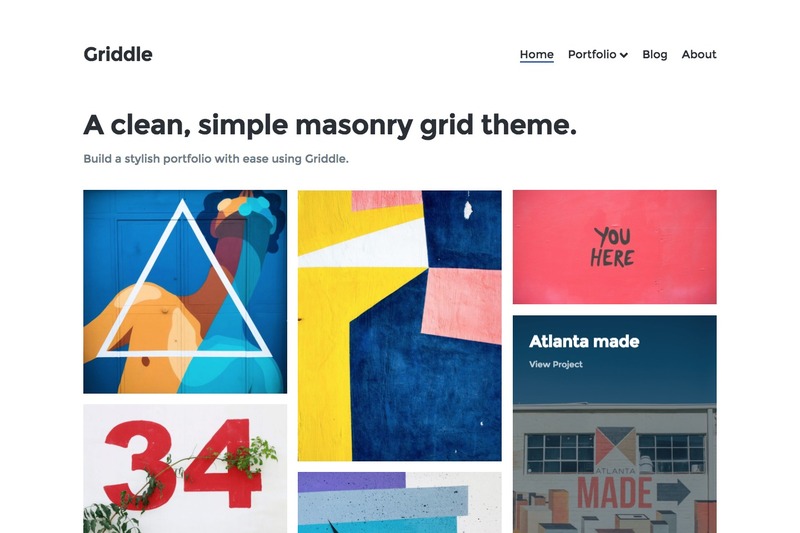 You can get Griddle set up on your site super fast – no plugins or complicated set-ups, just add your Pages, create your Portfolio and Blog posts, and you’re ready to rock! 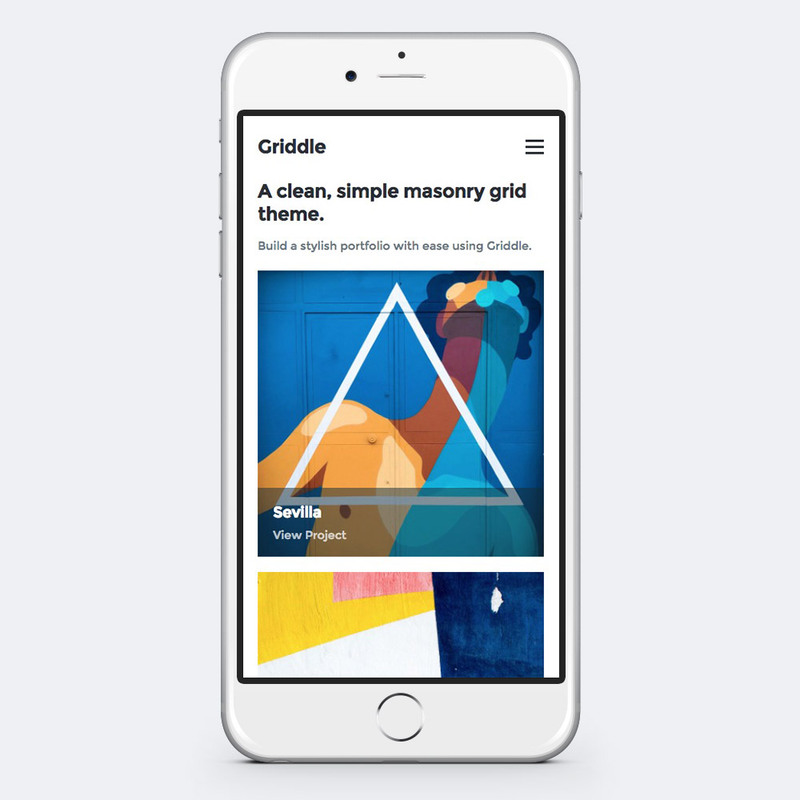 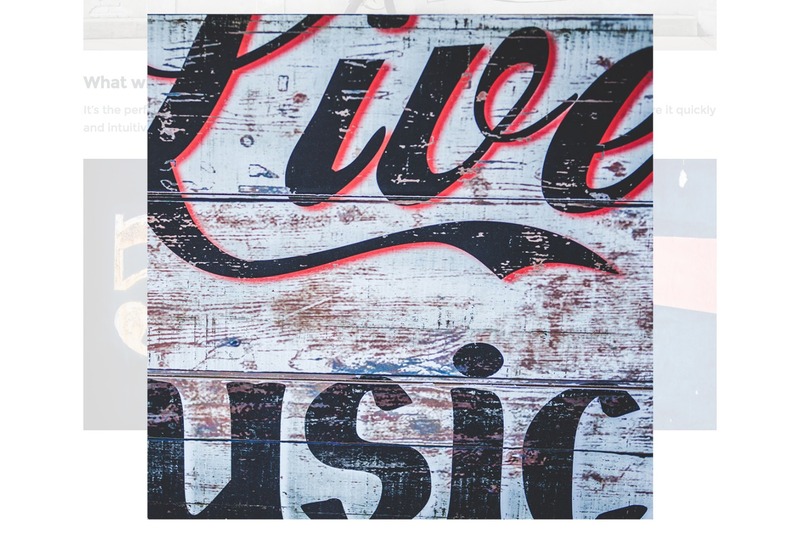 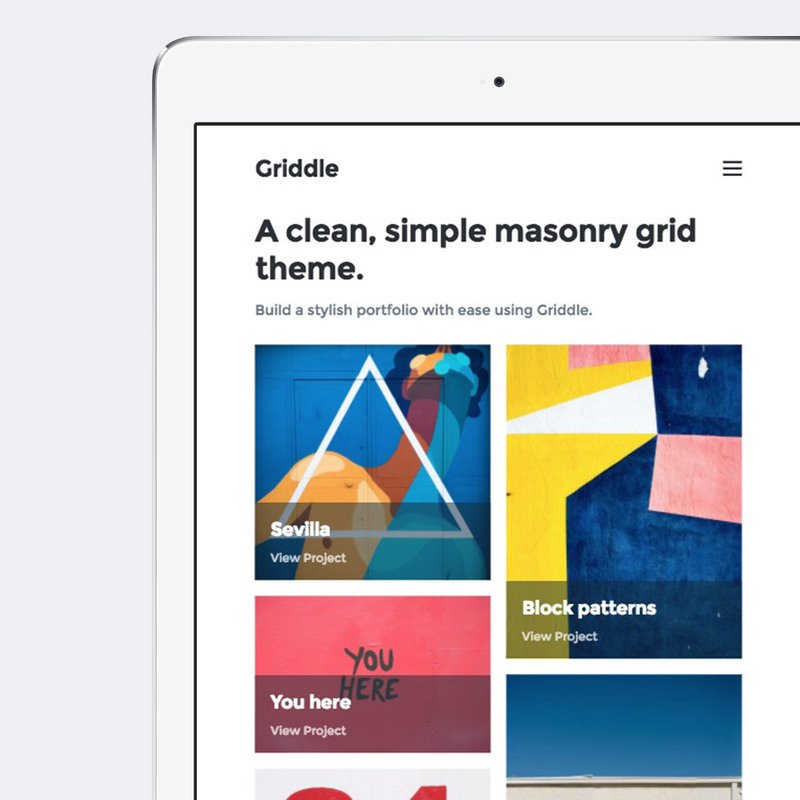 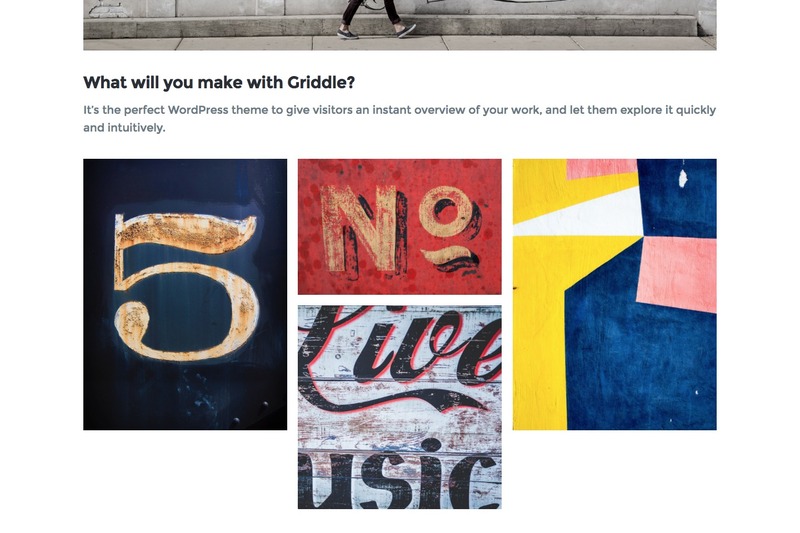 Griddle has a fully featured blog, using the same great masonry grid layout. 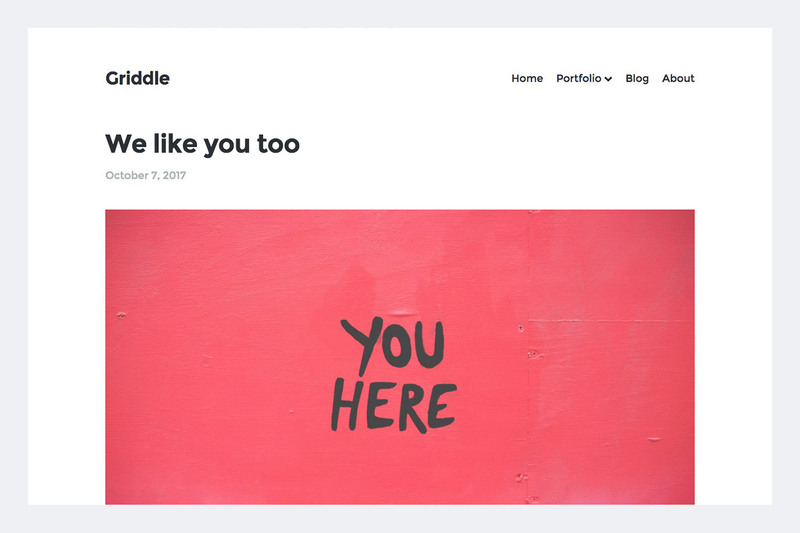 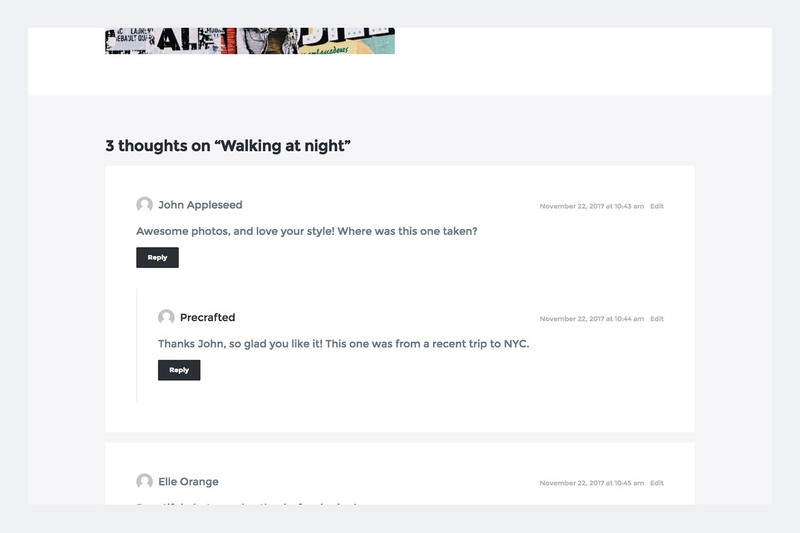 It has all the same features as your portfolio posts, as well as categories, comments and a sidebar for your widgets. 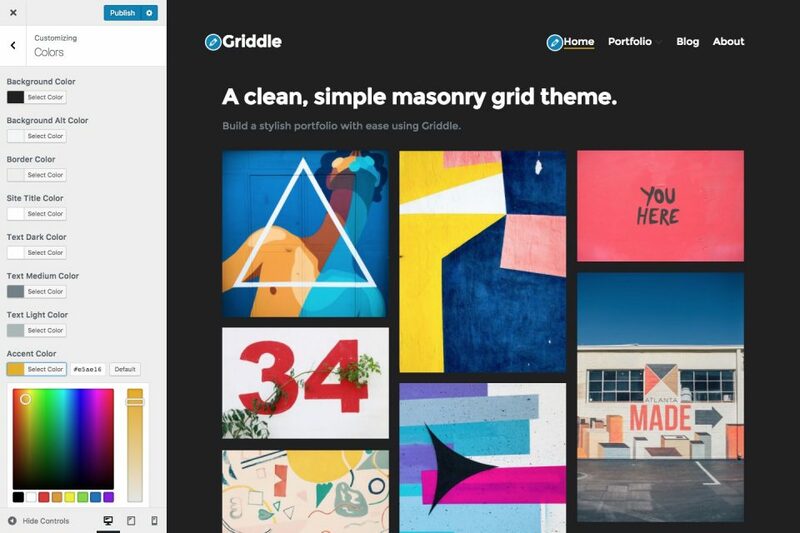 Ready to build a stylish masonry grid portfolio website to show off your work?